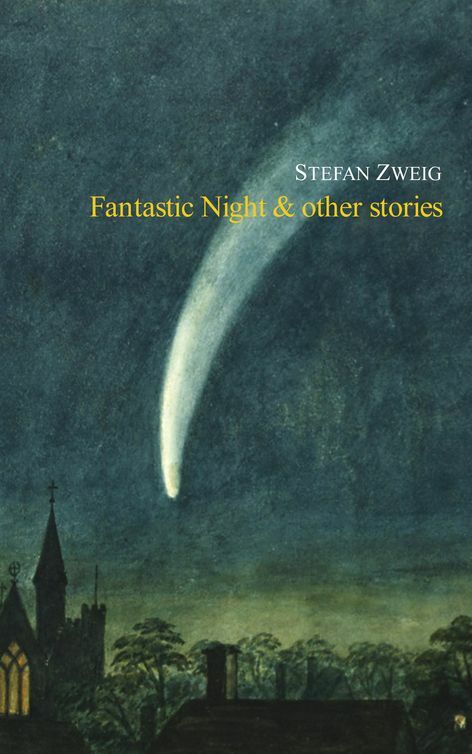 I finished reading Fantastic Night And Other Stories, by Stefan Zweig. It was very interesting. At first I wasn’t sure how much I liked it. All the stories are very overwrought and very meandering. They often take place in weird frames. Sometimes they’re stories being told to a person who then tells them to the narrator. Sometimes the frame is totally superfluous, like in the title story, where we’re told that the following is a diaristic account found in the possession of a dead soldier. However, in the end I found the collection very charming. And one story, the final one, really blew me away. “Buchmendel” is about a second-hand book dealer, a Russian-born Austrian Jew named Mendel, who has a prodigious memory: he remembers every page of every book he’s ever read. If a scholar comes up against any roadblock in his inquiries, it’s far quicker to consult Mendel than to go to a library. And although his lack of education and social status means he can never become a scholar himself, Mendel achieves a place in the world. He’s a very well-drawn character. But then the war comes. It’s one of the subtler accounts of the effects of war. Mostly because it elides the war itself. It shows you how before-the-war differed from after-the-war (at least in peoples’ minds). And in this one the frame really works. The story begins with the narrator (a scholar, or perhaps a stand-in for Zweig himself) walking into a tavern and realizing that he’s been here before–that this is the place that Mendel used to operate out of…but Mendel is gone. He looks through the tavern trying to find someone who remembers Mendel, but the old owner and all the waiters are either retired or dead. The only person who remembers the man is the bathroom attendant. Most of the story is an account of Mendel’s final years, as witnessed by this completely uneducated, very simple woman who cleans and takes care of the bathroom. I can’t even describe it. This is a fantastically complex story. And when you have a story that operates on so many different levels, there needs to be a mini-story and a mini-payoff on each level. And there is! It is amazing.